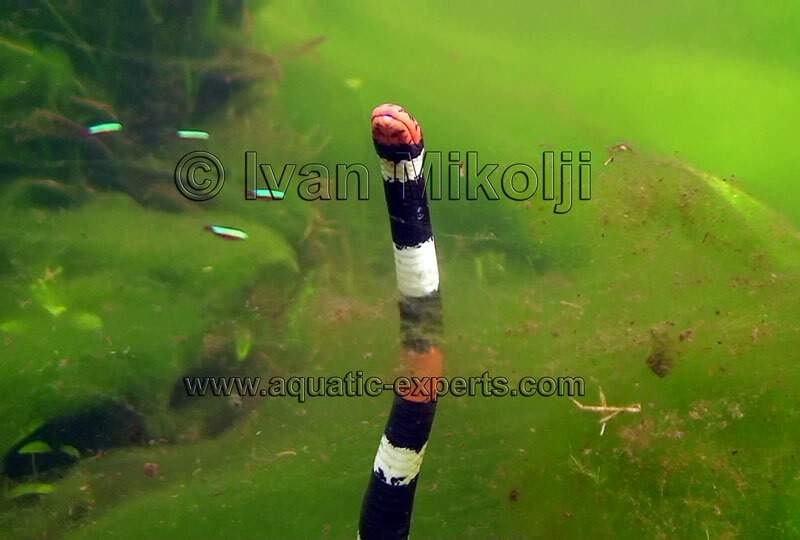 Micrurus nattereri is one of the species featured in the Freshwater Natural Aquarium Documentary. 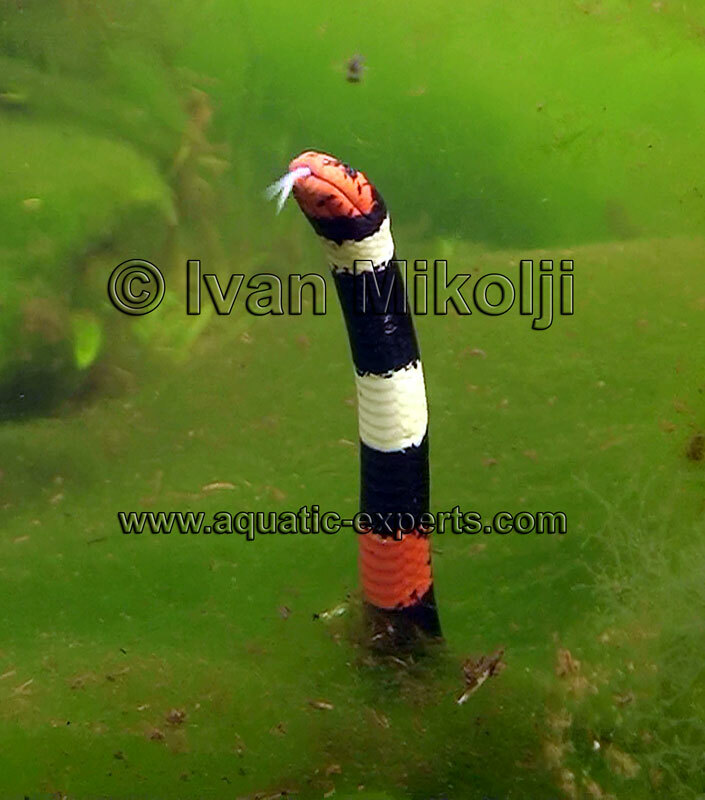 They are commonly called Aquatic coral snakes and they are very poisonous. 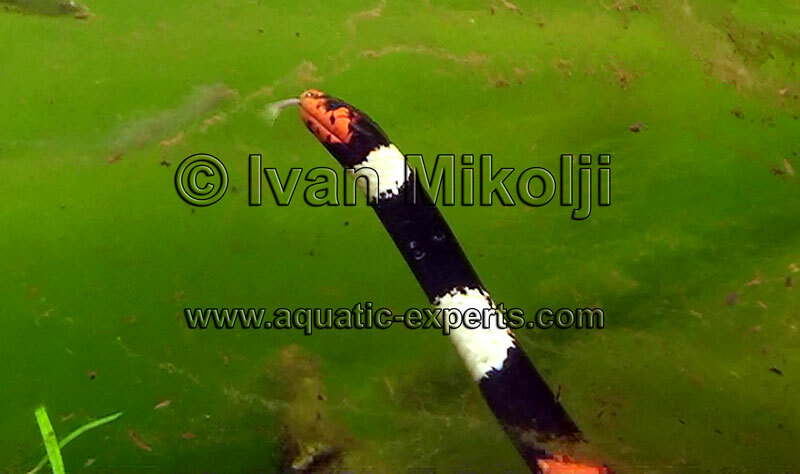 BELOW: Underwater pictures of a Micrurus nattereri in its natural Morichal habitat.